The Monuments Board of Slovakia gave the official permit for archaeological digging on the Beith Hamidrash site—inside and outside of the building. Yet, we could not begin the excavation because of harsh weather conditions in Bardejov. Meanwhile, we have been processing documents which will assist in analyzing the oldest historical structures of Bardejov's Jewish heritage. We hope to begin the excavation as soon as the snow melts and conditions allow. On Monday April 2 nd , 2018, the Jewish suburbia was opened to the public after a long winter. 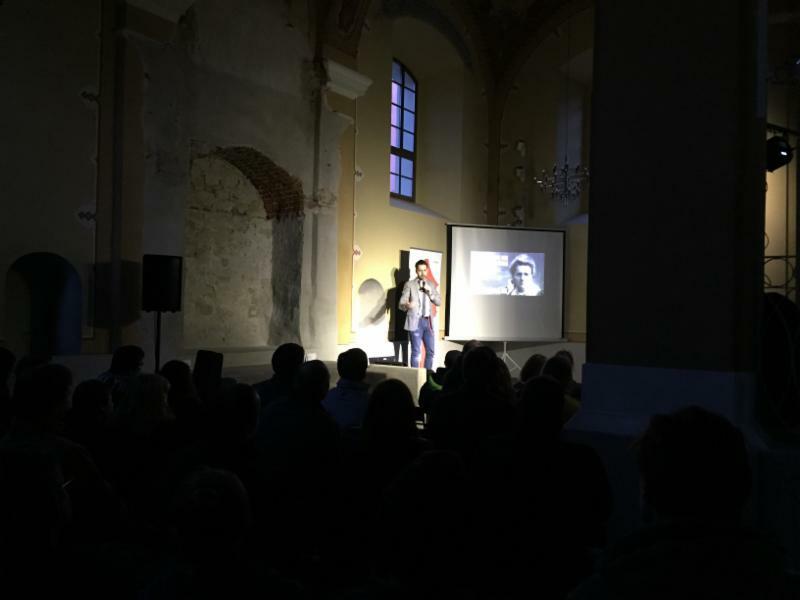 The opening was marked by an event called “Pecha Kucha Night Bardejov #13” which was organized by 'Kandelaber' - a local nonprofit organization. “Pecha Kucha” is a presentation format known as “20x20” where a presenter shows 20 slides for 20 seconds each, as he or she speaks. 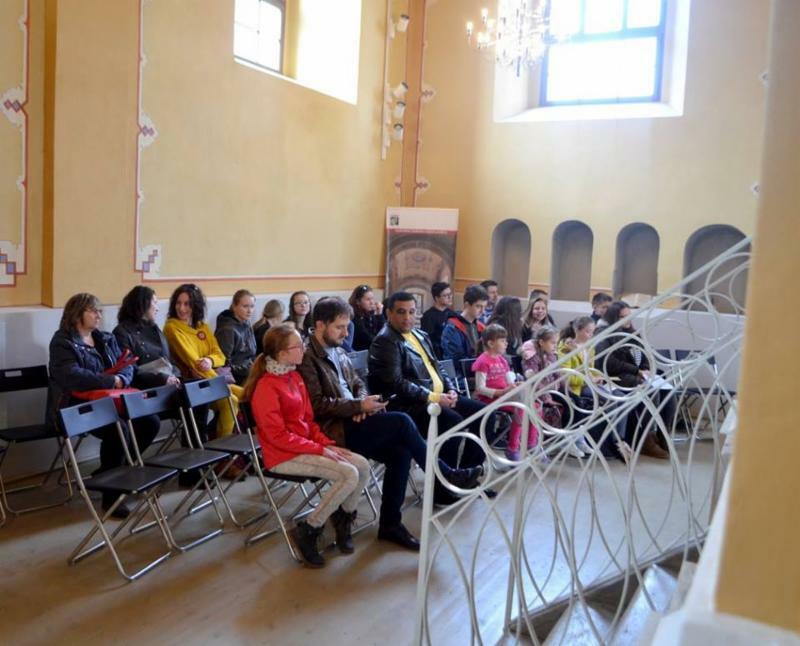 On Bardejov’s "Pecha Kucha" night, ten speakers of various professions presented topics including Slovak history, philanthropy and youth in Bardejov, the renovation of a park in Bardejov’s Spa, historical discoveries in Bardejov’s main cathedral and more. 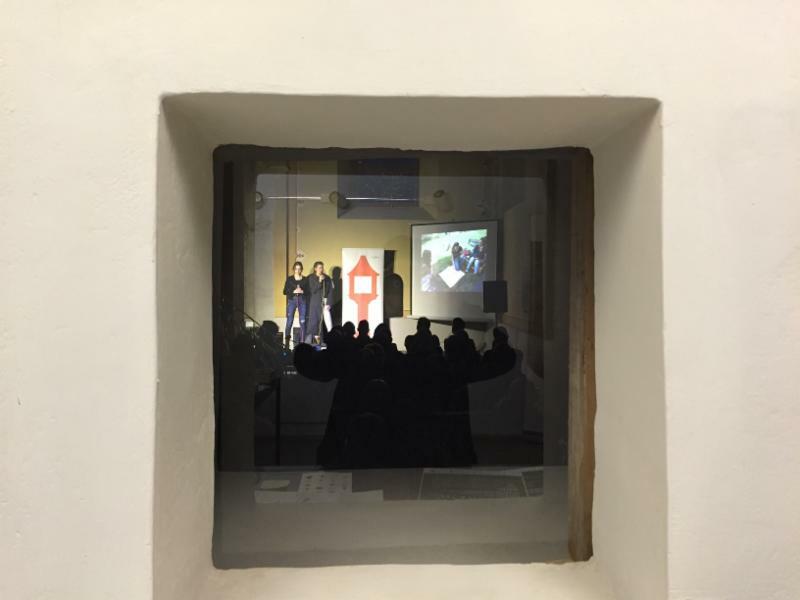 The event attracted about 100 people who enjoyed a cultural evening inside the renovated synagogue. 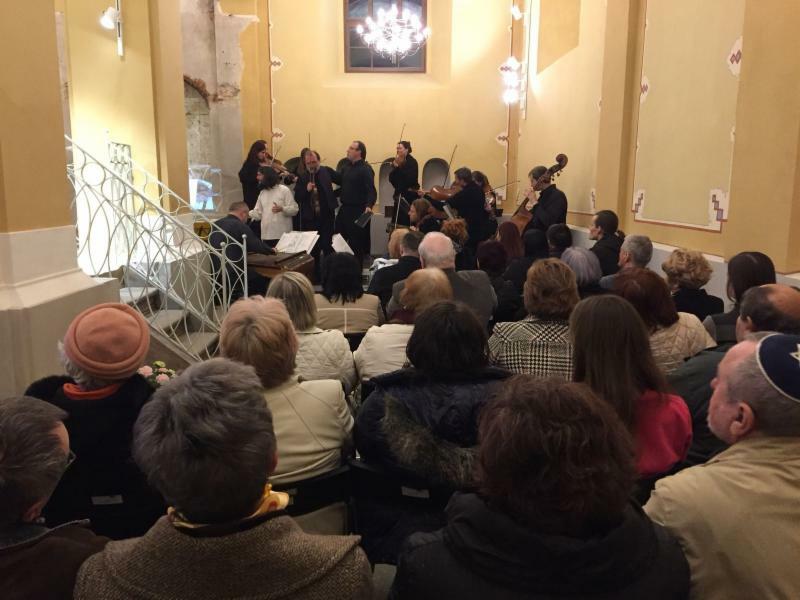 On Sunday, April 8 th , a Kleizmer Music band named ‘Solamente Naturali’ performed in the Synagogue for a local crowd of about 100 people. The band's record "Thesaurus" won the prestigious 'Radio Ahead Awards 2016 - World Music's Best Album of the Year'. 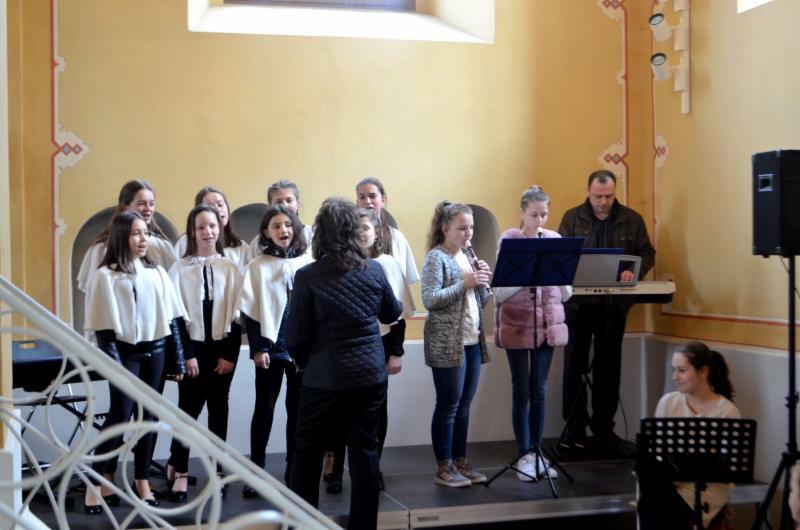 They performed in Bardejov as part of a tour of Slovak Synagogues, which was also connected to discussions and workshops with students and local communities. The project included 8 concerts which took place in Synagogues in the Slovak towns of Bratislava, Košice, Prešov, Žilina, Kokava nad Rimavicou, Nitra, Lučenec, and Bardejov. Click the photo below to watch a short clip of the performance. 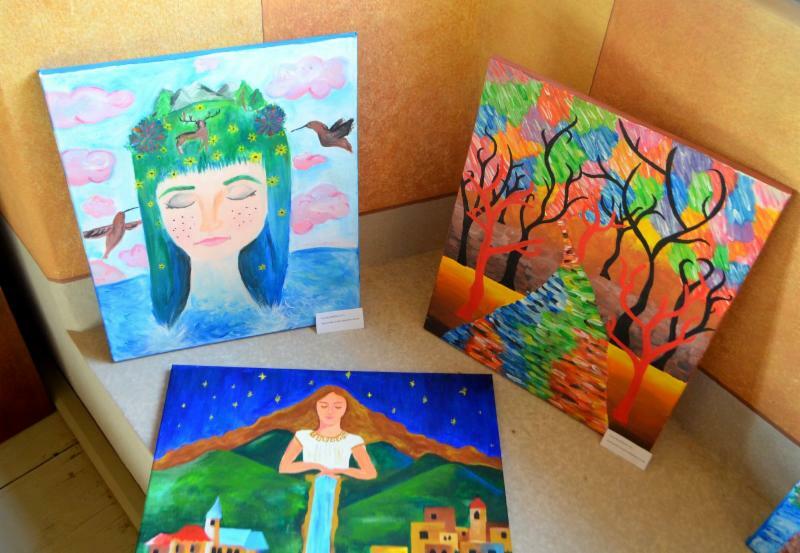 On April 5 th , 2018, the Bardejov Art School held an art exhibition on the second floor of the synagogue (the women’s gallery). The children's choir, which participates in our yearly memorial ceremony in Bardejov, performed in the main hall. 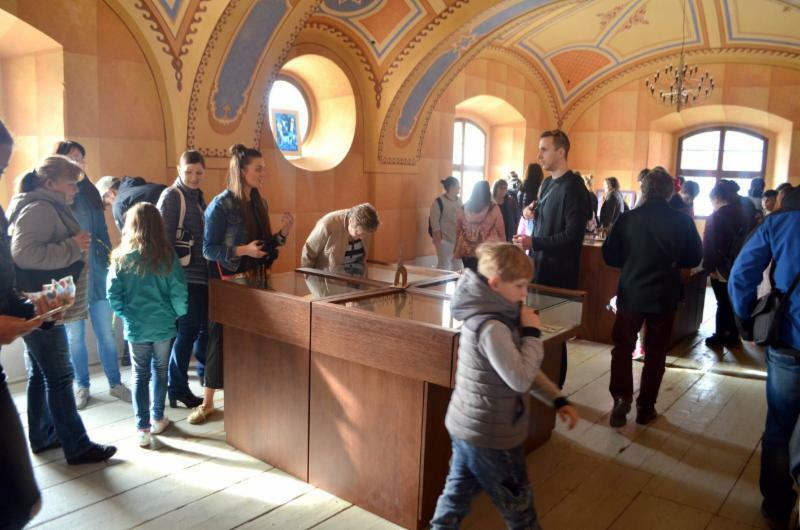 Having local children display their art in the beautifully restored space of the synagogue exposes children and their families to the treasures of Jewish heritage in Bardejov and the history of the local Jewish community. A short documentary (12 mins.) produced by the Bardejov TV channel and broadcast on March 16 th , 2018, tells the story of the four Righteous Among the Nations from Bardejov who were awarded by Yad Vashem on January 31 st , 2018. The descendants of the Righteous – three children and one granddaughter – tell the stories of their parents/grandparent, which are also described on page 87 of the Memorial Book of Jewish Bardejov. You may click the link below to watch the documentary; it is in Slovak but we will soon add English subtitles. In a round table discussion about the tourism development in Prešov County (Bardejov’s region) Peter and Pavol Hudak presented the BJPC's effort to revive Bardejov's Jewish Heritage. The event took place on March 23 rd , 2018, and was held at the initiative of the newly appointed regional governor, Milan Majerský. Activists and stakeholders were invited to present tourism projects that could be supported by the Prešov County regional development. May God comfort the Gottesman-Stadtmauer family during the time of their bereavement, amongst the other mourners of Zion and Jerusalem.